There is no shortage of moving companies – a look through the Yellow Pages or an online search for movers in your area will give you any number of companies to choose from. Not all moving companies are created equal, though. Remember, you are about to turn over everything you own to people you don’t know. How can you be sure of choosing the right mover? You can eliminate a lot of problems by going with a reliable name – you know the companies that have been in business for years, or even decades. If you are considering going with a lesser-known mover, though, it pays to do your research, and ask questions. Check Them Out – read their reviews! 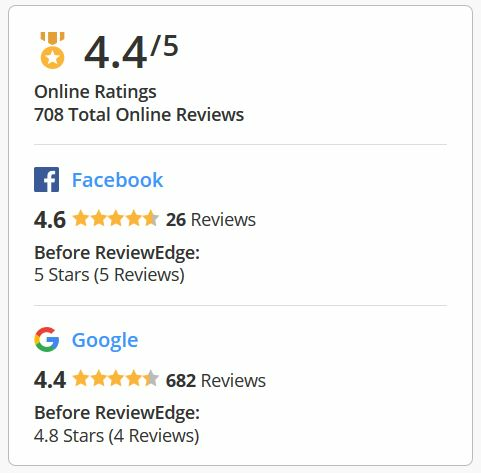 Online reviews can be a good source of information. Many customers will not bother posting good reviews, but if they have a bad experience, they will be only too ready to take to the Internet and let everyone know how they feel about the mover they dealt with. You should also check out the Better Business Bureau, but keep in mind that doing so will only tell you if a complaint has been laid against the mover. An absence of complaints does not necessarily mean that the mover is reliable. Ask friends and family about their moving experiences. If they have had a move go bad, they will definitely let you know. Do you operate under the Good Practice Guidelines for Canadian Movers? If my goods have to be left overnight, what security measures are in place to guard against theft or damage? Do not assume that every mover will answer these questions truthfully – you have to make sure that you follow up and verify. Reputable movers will provide you with a written estimate covering everything that needs to be done to get you to your new destination. They will want to visit your home so that they can identify what needs to be moved, and any special considerations (narrow staircases, steep walkways, etc.) that might make the move more difficult and result in additional costs. No reputable mover will ever give you a quote over the phone. Make sure that the estimate is on a company letterhead, and that it is detailed. For your part, you need to be completely up-front about what you need. No estimate will be binding if you surprise your mover with news that they will also be expected to pick up your grandmother’s piano, or a load of boxes from your parents’ garage. Generally speaking, there should not be huge discrepancies in the estimates you receive from various movers. If one is considerably lower than the others, it is likely that corners are being cut (WCB payments, perhaps?) to your potential detriment. So, make sure to check out your mover thoroughly. Then make sure that every I is dotted, and every T crossed before committing. Doing your homework can save you a world of heartache come moving day.